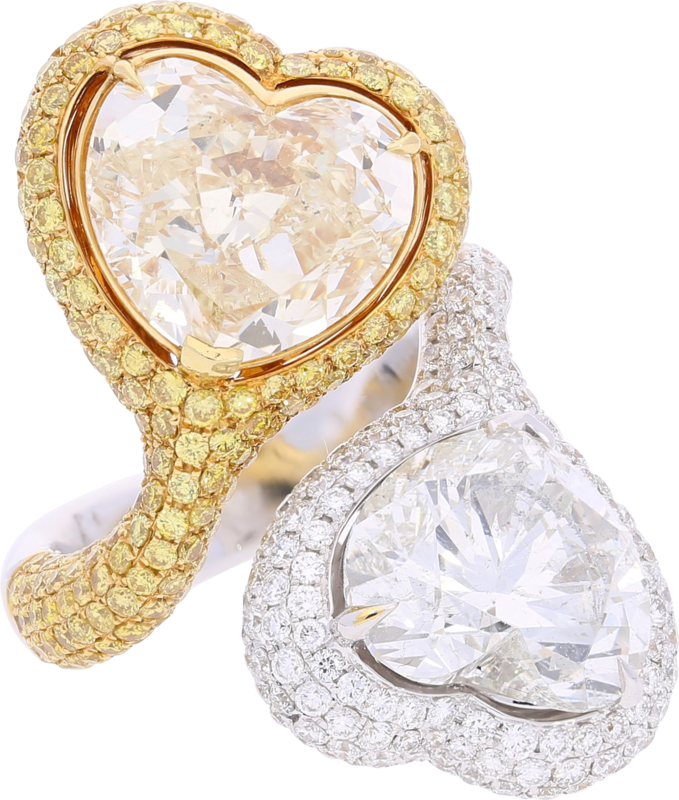 Centering two heart-shape diamonds of different colors, this ring was crafted using the “Toi et Moi” design concept, one rooted in 18th Century French culture and that represents love, a prevailing theme at Gad & Co. Having a pair of heart-shape diamonds with this versatility made the intricate design possible. 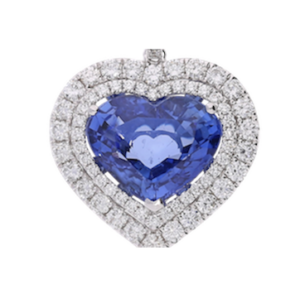 – The heart-shape diamonds measure 5.79 and 5.73 carats. They are “G” color and “fancy light yellow” color, respectively. 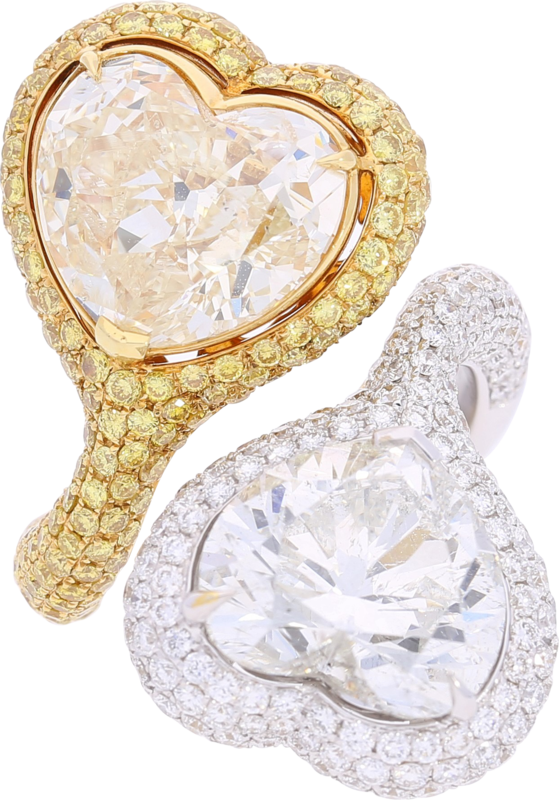 The ring is accented by nearly 400 round-brilliant cut diamonds, with an identical number of them being white and fancy yellow. 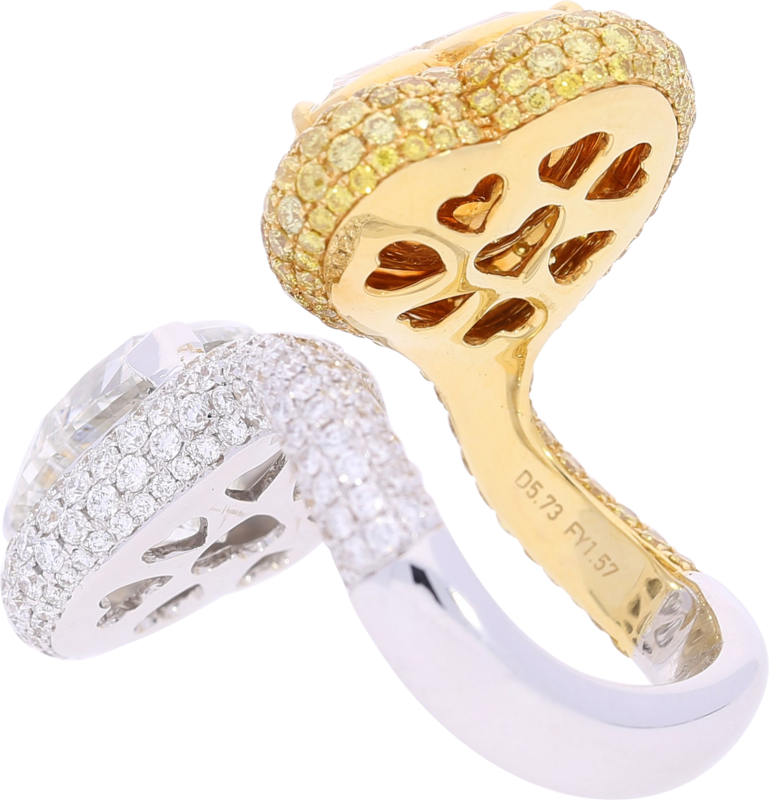 The ring is set in 18k white and yellow gold. 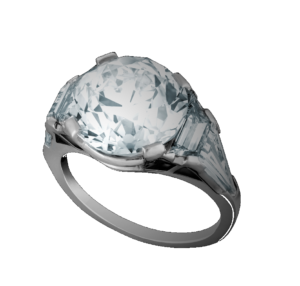 The white diamond is classified by EGL to be of “G” color, “SI2” clarity. The fancy color is classified as “fancy light yellow” color, “SI2” clarity.